Rhombohedral yellowish brown, very well defined, crystals of this very rare phosphate. 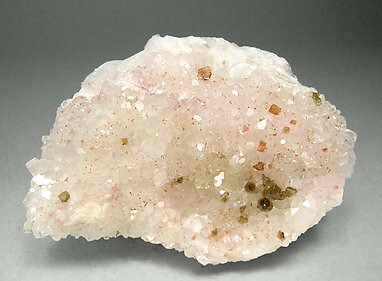 They are very big for the species, have excellent luster and color and are with a small group of Fluor-uvite crystals, on a matrix of rhombohedral crystals of Magnesite. The species has been accurately analyzed and we will send a copy of the analysis to the buyer.